You may not realize it, but many of the gadget photos you see in ads and on websites are actually faked using computer graphics. It’s the easiest way to ensure the lighting, angle, shadows, and details are all absolutely perfect. And now Adobe has created a new tool, code-named Project Felix, that makes it easy for even designers to flawlessly fake a product shot. Computer graphics and 3D modelling were once considered high-end tools only available on expensive Silicon Graphics workstations. But now that you can even work in 3D inside Microsoft’s once rudimentary Paint app, integrating CG materials is becoming less of a niche skill, and more of a requirement for anyone making a living in design. But just because you’re fluent in graphic design programs like Illustrator and Photoshop, it doesn’t necessarily mean you’re going to be just as skilled when it comes to working with 3D models or compositing CG elements into existing photography. But with Project Felix, a graphic designer can still accept projects that involve working with CG elements, without having to master, or pay for, professional-caliber 3D modelling and compositing software. The Project Felix interface is reminiscent of 3D modelling and animation software, but it’s lacking the tools needed to create new elements. 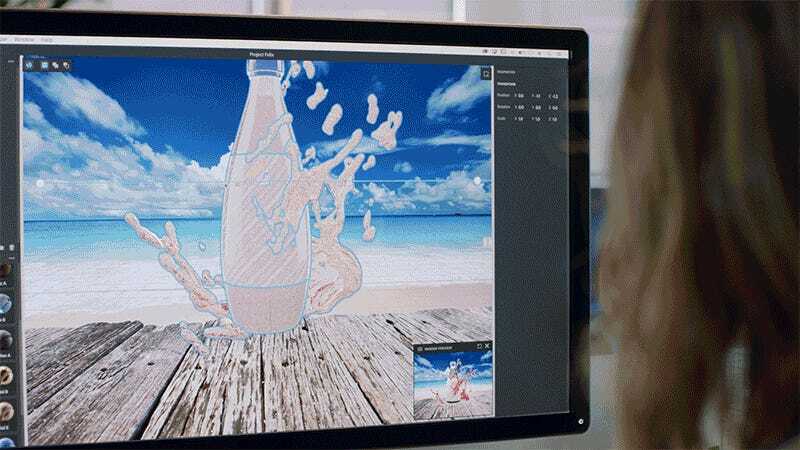 It instead assumes you already have the 3D models that need to be integrated into an existing photo—like a bottle of fruit drink that’s supposed to be sitting on a boardwalk by the beach. What Project Felix does it analyze the background image you’re using, and then automatically places your 3D model into the scene with accurate lighting, shadows, reflections, and other effects to make it look as photo-realistic as possible. It also calculates the camera angle and perspective in a 2D image, including the angle of flat surfaces like a kitchen counter top, so that a 3D model is automatically positioned, aligned, and scaled to look like it was actually there when the photo was originally taken. Often times a product shot has to be faked to reflect labels that differ from country to country, or to demonstrate different versions or flavors. So Project Felix includes the ability to apply custom textures, images, colors, and other properties to different parts of a 3D model. In the case of a bottle, you’d want the cap to look like it was made from matte plastic, while the rest was shiny and reflective glass. In Project Felix a user can change and refine the appearance of their 3D assets, they just can’t reshape them. The human eye is incredibly adept at spotting poorly integrated CG, so Project Felix also allows the user to manually refine the composite created for them to perfect every last element. Users can tweak the lighting, shadows, camera angle, and other elements, even after a composite has been rendered by Project Felix. The software can also generate a layered 2D document that can be brought into Photoshop for further adjustments. Does the creative director think the shadows are too harsh? That layer can just be reduced in Photoshop, without having to re-render the entire project. Adobe hasn’t quite nailed down when Project Felix will be available—it hasn’t even settled on a name for the product yet. At the moment it’s still working on finalizing the software’s toolset, and finding a balance between keeping it easy to use, but robust enough to be genuinely useful. 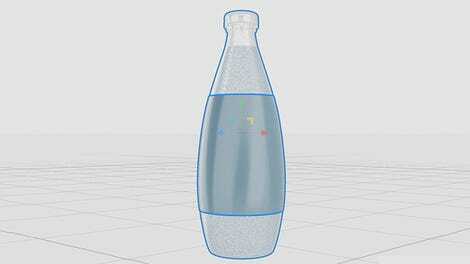 Additional features might eventually include the ability to generate 3D text and basic shapes, as well as faster rendering and real-time results. But the company doesn’t want it to become a full-fledged 3D modelling tool. It’s designed to be just the opposite: a fast and easy way to take advantage of the benefits of working with CG, without all of the headaches.